These lightweight durable sticks will far outlast wood or plastic sticks. The patented lightweight convex aluminum shaft allows for better stick handling, as well as strength and will not mar gym floors. 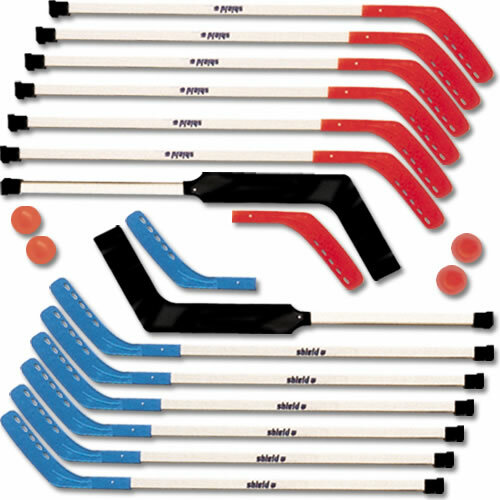 Set contains 12 45" sticks (6 Red and 6 Blue), 2 hotballs, 2 soft shot pucks, 2 replacement blades and instruction booklet.